With China closely watching amid the ongoing ferment in the South China Sea, Prime Minister Narendra Modi will head to Vietnam, the first stop of his extended overseas trip which will impart a greater strategic traction to India’s Act East policy at the dual ASEAN and EAS summits in Laos. The importance of Mr Modi’s maiden visit to Vietnam, an emerging ASEAN economy and a crucial plank in the maritime stability in the region, can’t be overstated. Over the years, Vietnam has morphed into a trusted strategy ally of India due to a host of reasons, with China’s assertive posturing in South China Sea driving the two countries in a closer embrace. PM Modi’s visit to Vietnam will put the spotlight on an intersection of India’s Act East Policy and Hanoi’s Act West Policy as they deepen their military and economic partnership. Building upon the ongoing transformation of the defence relationship, one can expect India to play a bigger role in Vietnam’s military modernisation. In the military sphere, there is a convergence of interests and a demand-supply fit which will ensure that the relationship keeps growing. Moving beyond merely strategic calculations, what imparts an emotional resonance to India-Vietnam relations is deeply felt solidarity and connections of heart and mind, as exemplified in spiritual linkages of Buddhism and the enduring popularity of Indian films among the Vietnamese people. Instead of getting lost in a strategic maze, the two countries are rightfully focusing on enhancing people-to-people bonds through travel, tourism and cultural contacts. Amid China’s hardening posture on the South China Sea ruling by an international tribunal, senior officials of India and Vietnam have held strategic talks in New Delhi to bolster their military and economic relations, which could pave the way for a visit by Prime Minister Narendra Modi to Hanoi early next month. The volatile situation around the South China Sea in the wake of The Hague tribunal’s ruling rejecting Beijing’s “historic claims” over the disputed water body and the so-called nine-dash line figured prominently in discussions. The discussions in New Delhi saw a striking convergence of perspectives between the two countries on the South China Sea issue. The visit by PM Modi to Hanoi will take place at a time when the India-China relations are under strain following China’s stalling of India’s bid for the NSG membership and India denying extension of visas to three Chinese journalists working for state-run Xinhua news agency. Mr Modi’s visit to Hanoi, as and when it happens, will be closely watched in Beijing, which has resented growing proximity between New Delhi and Hanoi, and sees India as engaged in a containment game with the US, Japan, Australia and friendly ASEAN countries. 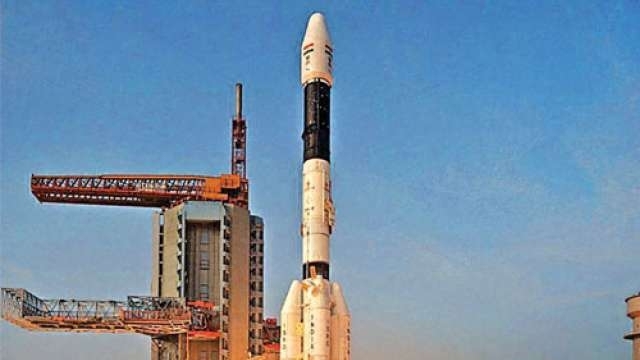 Intending to play a more proactive role in the Asia-Pacific region, India has decided to set up a satellite tracking and imaging centre in southern Vietnam that will give it access to pictures from Indian earth observation satellites that cover the region, including China and the South China Sea. 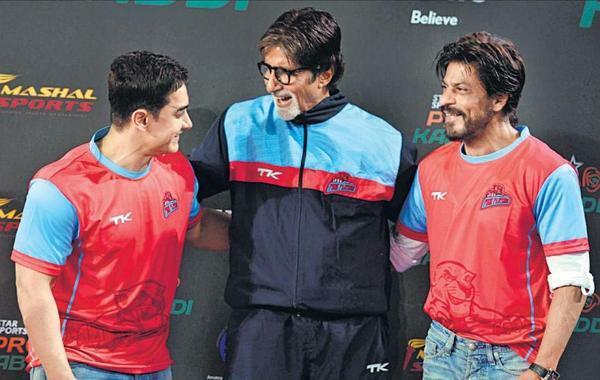 HANOI: The Delhi-Hanoi maritime bonding is set to get stronger in days to come. Vietnam, the emerging dynamo of the Southeast Asia region, is closely watching the forthcoming visit of India’s Prime Minister Narendra Modi to China and is expecting that the Indian leader will pitch for peace and stability in South China Sea, the site of conflicting territorial claims. Vietnam has faced the brunt of the perceived Chinese assertiveness in South China Sea and has looked up to India, with its rising stature and formidable naval apparatus, as an anchor of stability in the maritime domain in the region. 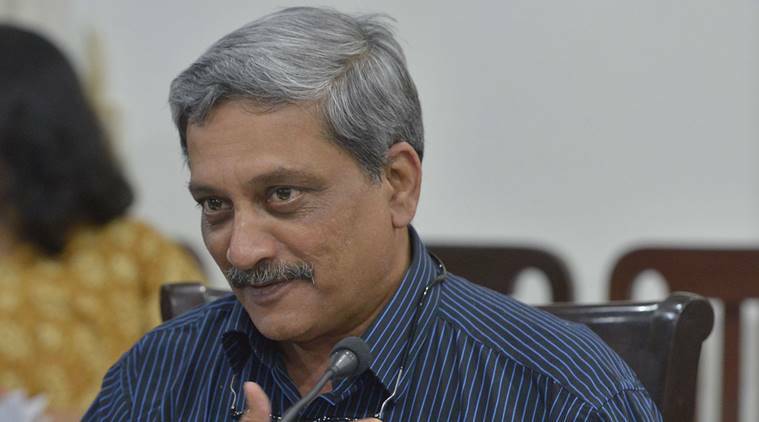 “The Indian government has shown increased interest in protecting sea lanes of communication. We expect India will continue to support Vietnam and help it to cope up with instability in South China Sea,” Mr Le Van Nghiem, Director General, Directorate of External Information, told a group of visiting Indian journalists in the balmy Vietnamese capital. “Many countries are reluctant to take up the issue with China. If India raises its voice (on South China Sea with Vietnam), it would be beneficial for both India and Vietnam and the region,” the Vietnamese official said. He was responding to a question by this writer on whether Vietnam expected Prime Minister Modi to take up the issue of South China Sea during his talks with the Chinese president next month. 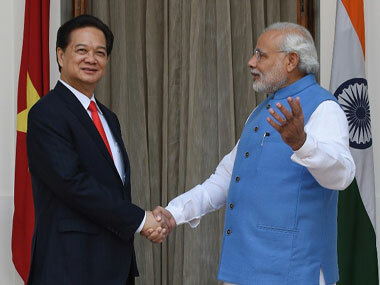 Under Prime Minster Modi’s watch, Vietnam has emerged as a key pillar of India’s Act East policy, with a string of high-profile two-way visits seen in the last few months. Signalling the intent for closer strategic embrace, India rolled out the red for Vietnam’s prime minister in October 2014, a little over a month after President Pranab Mukherjee’s substantive visit to Vietnam. The Narendra Modi government is playing its own version of Chinese checkers as India pushed the envelope for ties with Vietnam by agreeing to supply naval vessels to Hanoi and underlined its strategic intent to spur the modernisation of the military infrastructure in the Southeast Asian country. In defiance of Chinese objections, the prime ministers of India and Vietnam met in Delhi and decided to ramp up their defence and energy ties. Vietnam Prime Minister Nguyen Tan Dung’s visit to Delhi was advertised as predominantly focused on galvanising economic aspects of the relationship, but has ended up as delivering clear-cut outcomes in military and strategic spheres. India’s proactive military and economic diplomatic engagement with Vietnam indicates that the Modi government is set to be more assertive in countering China’s designs in India’s immediate and extended neighbourhood. India has watched warily as China has deliberately expanded its economic and military footprints in India’s neighbouring countries. Look East. Look West. 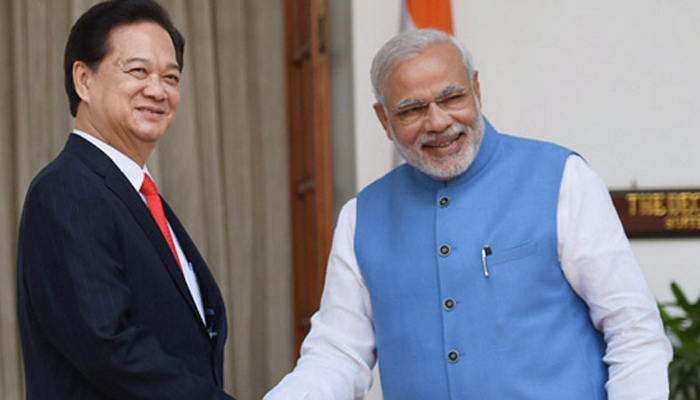 The multifarious relations between India and Vietnam are deepening by the day and are branching out in new directions. In many ways, it’s a perfect match between India’s Look East policy and Vietnam’s Look West policy as the two countries aim high to forge closer strategic, economic and energy ties in days to come. This confluence of interlinked interests will be reflected in the visit of India’s External Affairs Minister Sushma Swaraj to Vietnam August 25-26. Blending IT, education, Buddhism and strategy in its intricate tapestry, the relations between India and Vietnam have effortlessly blended the ancient and the modern to forge a robust contemporary partnership. In the days to come, the only way for the Delhi-Hanoi relationship is to go up, opening new vistas and opportunities for a mutually invigorating and empowering partnership. India’s multifaceted ties with Vietnam are poised to acquire greater strategic and economic weight. The visit of India’s External Affairs Minister to Vietnam August 25-26 is set to impart a fresh momentum to this burgeoning partnership, bound by a confluence of strategic, economic and energy interests. Sushma Swaraj’s trip will set the stage for the state visit by India’s President Pranab Mukherjee to Vietnam in September. In this exclusive interview with Manish Chand, Editor-in-Chief, India Writes Network (www.indiawrites.org), Vietnam’s ambassador to India Nguyen Thanh Tan speaks about Vietnam’s expectations from the forthcoming visit by India’s foreign minister, the growing knowledge partnership between India and Vietnam and predicts an all-round acceleration in bilateral ties in days to come.